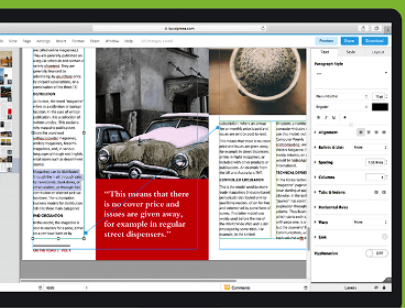 Digital newspaper creation is a multimodal literacy activity you can use with your students in class to target a wide range of academic skills. The pedagogic benefits of such a task are multifarious. Students will get to practice their writing skills and cultivate a working knowledge of how different writing genres function and the stylistics involved in each genre. They will also improve their reading skills and, through the use of planned comprehension activities which you design beforehand, students will develop specific reading sub-skills such as reading for gist, close reading, critical reading, scanning, and skimming. Digital newspaper creation is not exclusive to language arts teachers, though a central part of it is directed towards them, teachers of other school subjects can also draw on the strength of digital newspapers as multimodal tools to explain and illustrate relevant concepts related to their content areas. They can get students to work together and collaborate on joint projects to share on their class newspaper. For instance, you can decide on the themes or topics you want covered in your class newspaper and then divide students into groups and assign each group a topic to write about. You can include students in decision making and get them to vote on the topics they want to write about. When their final products are live in classroom newspaper, students can work in the same groups or probably different groups, read and discuss the content of their peers and share their feedback with the whole class. A few days ago we talked about the educational benefits of recognizing students work and we showed how you can do this through showcasing their work using a number of apps. Creating classroom digital newspapers is another great strategy to empower students voice and provide them with a public venue through which they can exhibit their authentic work and engage in academic discussions with their peers. 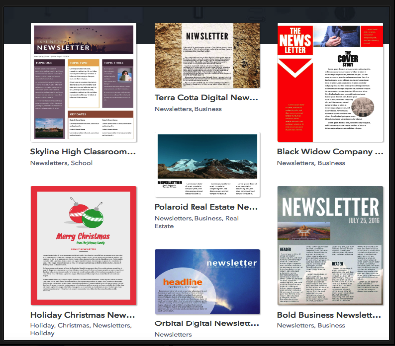 Our purpose today is to provide you with a collection of some easy, simple, yet, effective tools you can use with your students in class to design beautiful and professional looking newspapers. For ideas and tips on how to use newspapers in class check out the reference list at the bottom of this post. We would like to hear what you think of these tools, please share with us your feedback in our Facebook page. 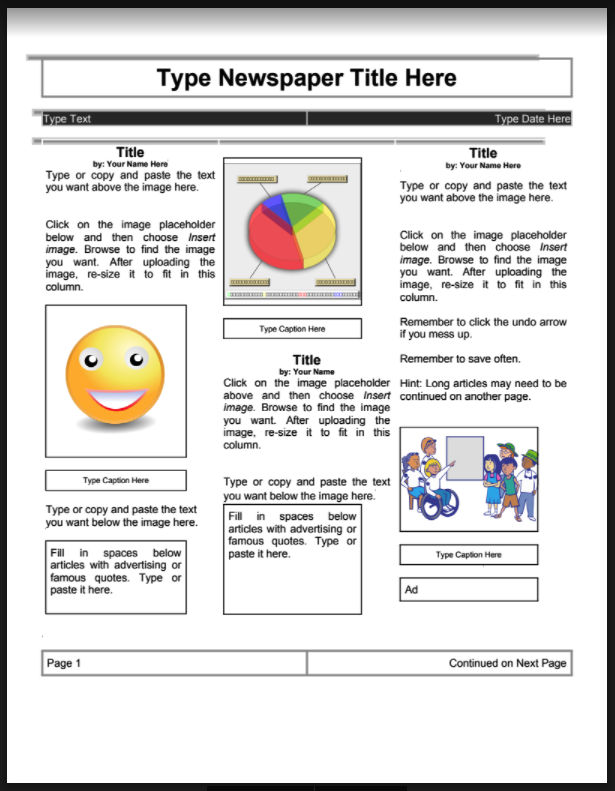 There are several pre-designed newspaper templates in Docs gallery which you can use with students in class. The new Docs gallery, however, does not include as many options as the old gallery used to have. The limited options it has are nested under the category Work. You will find templates for creating newsletters and brochures. Luckily, we still have newspaper templates we curated from the old gallery and these are way better in design and function. You can access them from this page. You can also check this video from Mr JainPUSD to see how you can use Google Docs to create a layout for your newspaper. 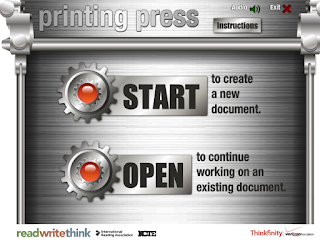 This is a great tool from ReadWriteThink to help you create a beautiful newspaper for your class. It is free, simple and easy to use. 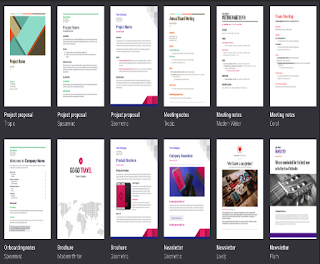 ‘ It provides several pre-made templates with multiple lay-outs to choose from. 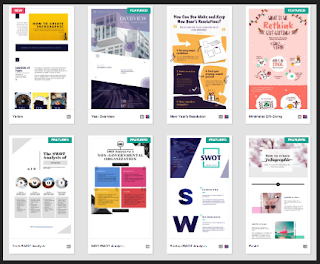 There are templates for creating newspapers, brochures, flyers, and posters.You simply choose the template that works for you, type in your text and add images. When you are done, you can share your final product in PDF or .rwt format through email or you can save and print a copy. 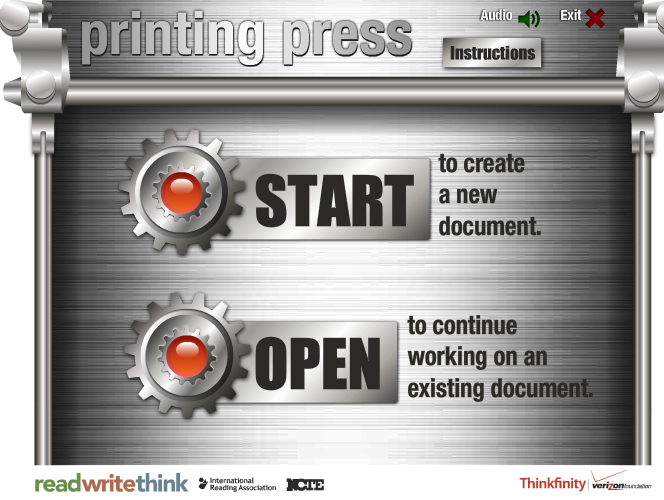 There is also a basic planning sheet that comes with this web tool to ‘help students gather ideas before working on this interactive tool.’ For ideas on how to use Printing Press in your class, check out this post. 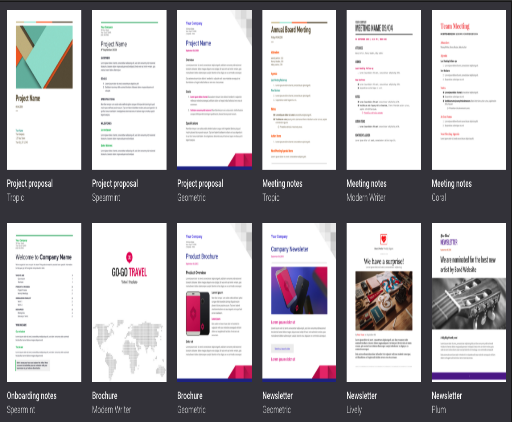 If you would rather use pre-made newspaper templates, Lucidpress has this collection of handy templates. You can customize them the way you want and you are ready to go. 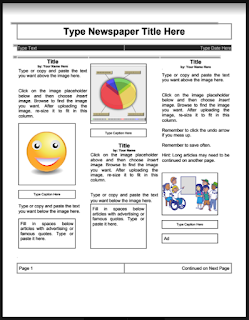 Both of these web tools provide a collection of pre-designed templates to create newspapers and posters for your class. You are required, however, to log in in order to be able to create, edit, save and share your final product. This is a a good resource by Melissa Shutler availabe for $4 on Teachers Pay Teachers. 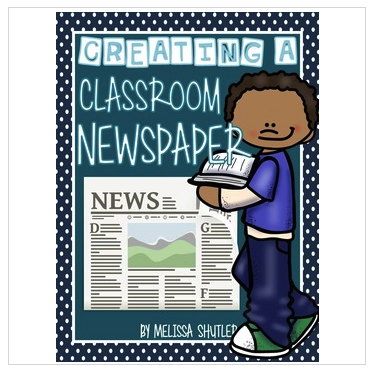 This pack includes a number of tools, ideas and tips to help you create your own class newspaper.